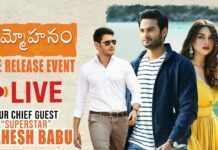 Sudheer Babu and Aditi Rao Hydari starring Sammohanam Movie Review and Ratings has received extremely positive from the audience. 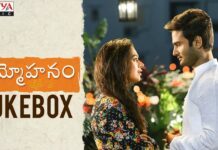 Sammohanam is a romance drama with a good dose of entertainment quotient. Besides direction, Mohan Krishna Indraganti has written the script and dialogues for the film, which has been produced by Sivalenka Krishna Prasad. The Sammohanam movie censored with a U certificate and its runtime is 2.22 hours. Vijay (Sudheer Babu) is a cartoon illustrator who hates the world of cinema, Following a few interesting turns of events, he meets Sameera (Aditi Rao Hydari) who is a star actress in the film industry. The pair develops a liking for each other, but Sameera tries to distance herself from Vijay as she has her own set of problems. What happens he falls in love with a film actress (Aditi Rao Hydari) forms the crux of the story. Sammohanam is all about a romantic tale of a guy and an actress who is facing problems in film Industry. The movie deals that how an actress faces pressure in her life. Plus points of Sammohanam are Sudheer Babu, Aditi Rao Hydari, and their chemistry. On the flip-side, the slow narration in the second half test the patience of audiences. On the whole, a film has all elements that make a commercial potboiler work at the box office! Sudheer Babu and Aditi Rao Hydari have delivered good performances and the chemistry between the two is the highlight of Sammohanam. 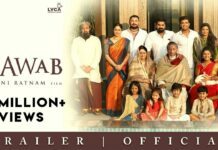 Shishir Sharma, Tanikella Bharani, Pavithra Lokesh, Rahul Ramakrishna, Srinivas Avasarala, VK Naresh, Kadambari Kiran and Hari Teja have done justice to their roles. They are also among the big assets of the movie, says the audience. Technical: Sammohanam movie has decent production values. Vivek Sagar‘s songs and background score, PG Vinda’s beautiful picturization are the attractions on the technical front, add the viewers. Verdict: Overall, Sammohanam film may appeal to the audience in overseas and Urban centres. It earns ‘ good attempt ‘ tag but excruciatingly slow! Fun filled with pure love and emotions #Sammohanam.